Euroload Limited now offer a 3 or 5 day training course. The coarse if free of charge for all Euroload Agents. Prices available for non-agents. We feel this is a very important service as it gives our customers peace of mind that all our agents have fully qualified staff trained and supported from our Aberdeen base. 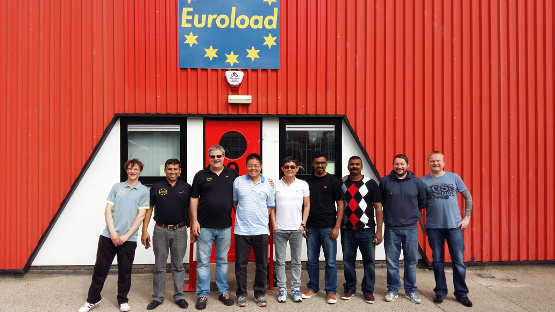 Euroload products can be sent to any of our official agents for repair and calibration giving us worldwide service and support. Warranty repairs can be carried out at our agent’s premises. Introduction to Euroload, Why use Euroload, Quality control, Research and development, Principle’s of stress analysis. Calibration techniques covering, Load links, Load shackles, Compression cells, Load pins and Running line monitors. Use of all software, Repair of general load cells, upgrading old load cells to new electronics. The training course is held at our Aberdeen base.